What's the best armament for drones? Smart bullets and micro-missiles. Simply: extremely small devices that are smart enough to guide themselves to their targets. In the case of the smart bullet, like the one currently being developed by Sandia Labs (video) guides itself to the target using fins + actuators. 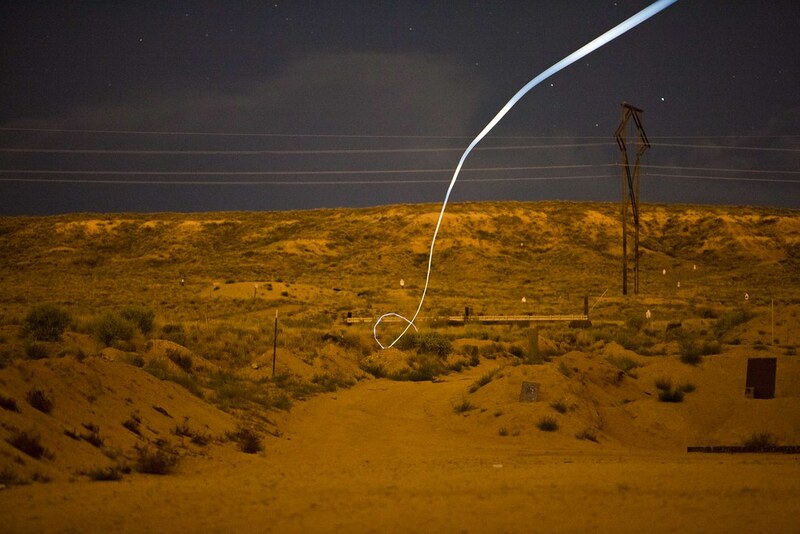 The current prototype uses a smooth bore, travels at 2,400 fps, and hits within 8" of its target at 1 mile. Here's a picture of one taken at night with an LED attached. These smart bullets still do their damage kinetically. In contrast, micro-missiles propel themselves to the target with similar levels of accuracy. They do damage with their explosive payload. In the case of micro-missiles, extreme accuracy allows a radical reduction in the explosive payload required to be effective against soft targets. At 4" from your nose, how much explosive is required to kill you? What would it sound like? Both smart bullets and micro-missiles can be made extremely inexpensively.